A Sankey diagram is very useful in depicting flows between related items (nodes). The size of the flow represents a relative quantity with respect to the other flows, and the node size also reflects the relative quantity passing through, or beginning or ending at that node. Before using this widget, it is important to understand what data you have and if this type of display makes sense or adds any value. Create a data source with the data you wish to have displayed in the Sankey diagram. 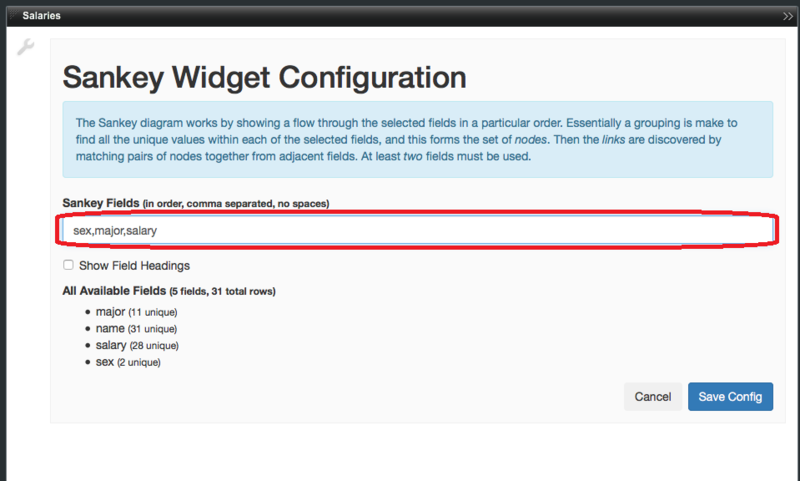 Select the stack you want to create the widget in and click the Add Widget quick action button. Select the HTML Widget type under the Web tab. 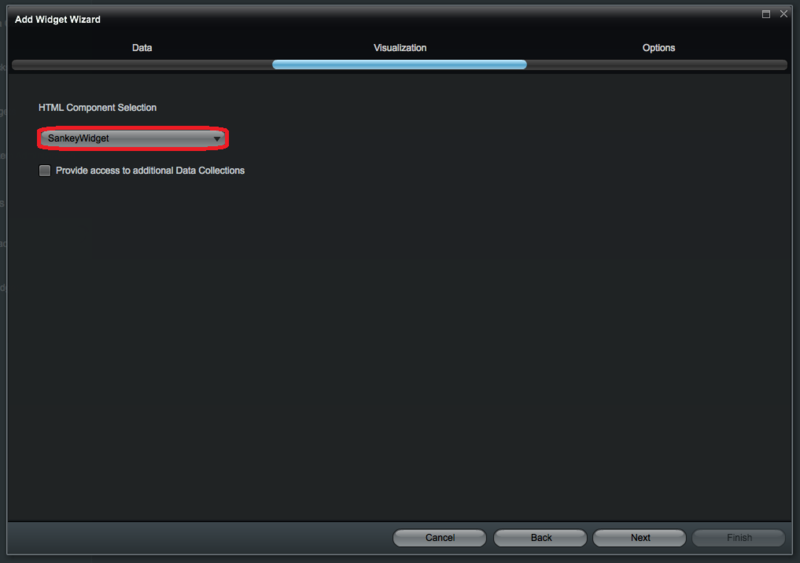 Provide a name for the widget and select the appropriate data collection in the Data screen. Select the SankeyWidget for the HTML Component Selection in the Visualization screen. Configure any options you desire in the Options screen. In the Builder, click the wrench button in the HTML Sankey Widget. For Sankey Fields, enter the related fields you wish to display in the diagram, separating each with a comma. You can see the available options listed under All Available Fields. You will now see the Sankey diagram displayed in the HTML Sankey Widget. This article was created using AppBoard 2.6.1.